Every year the eyes of the world turn to Las Vegas for CES. Just a few weeks later Europe follows up with Mobile World Congress. For many, the Barcelona event is a second chance to outperform competitors with even greater announcements and surprises for the upcoming year. Here’s a look of some of our insider predictions for what we can expect in AR/VR at this year’s Mobile World Congress in Barcelona. The Consumer Electronics Show (CES), which takes place at the start of every year, annually sets the tone for global innovation. CES is known for showcasing big trends and what that will look like for the future of tech. With the big announcements now behind us, what can we look forward to at Mobile World Conference (MWC)? And more importantly, what did the announcements we didn’t hear tell us we can expect at MWC? 1. Will we see the HoloLens 2? Microsoft put the spotlight on edge computing at CES, but there was no mention of its highly anticipated HoloLens 2. This begs the question: could they be saving it for MWC? 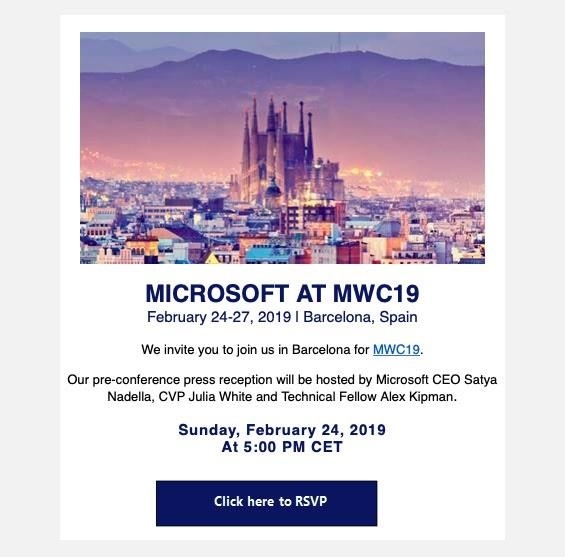 There have been plenty of rumors about a release in Q1 2019 and most recently press-only invites have been sent to an event in Barcelona that will take place just before MWC. Could this mysterious event be the moment we have all been waiting for? Could edge computing, cloud interfaces, and Mixed Reality come together in the upcoming announcement? 2. Will we see the Oculus Quest at MWC? While Chief rival HTC dropped two big announcements at this year’s CES, namely it’s high-end Vive Pro Eye and Vive Cosmos focused on improved resolution as well as increased mobility/flexibility by pairing to both PC and mobile. Oculus was in the background quietly offering private suite demos of its new standalone headset, the Oculus Quest. With its expected release early this spring, we could potentially see a launch announcement from Oculus at MWC. If this is the case, we could see the final release of the current VR generation devices - the next devices will evolve with some pretty substantial tech improvements like Foveated rendering and eye tracking, way higher resolutions, better lenses and maybe even a partial solution for greater depth perception issues. At CES, telecommunication giant Verizon detailed how 5G will transfer data at super-fast speeds and - as a result - fuel new technologies and services such as Mixed Reality enterprise platforms all hosted in the cloud or complex AR surgeries being done in live time. That said, this tech has not manifested itself in all products yet with only a few 5G compatible handsets present. Will we see more 5G related hardware announcements at MWC? Maybe LG? This year two of the big AR headset giants fell (ODG and Meta) with their absence physically notable at CES. 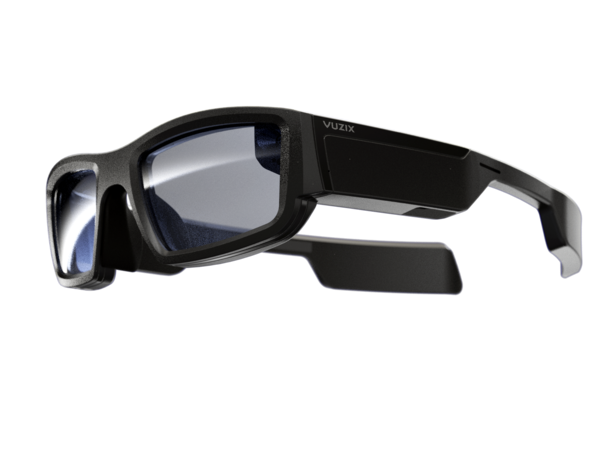 Yet as a giant falls, so rises further Vuzix with the commercial release of their latest Blade headsets. The Las Vegas show generated huge traction for the smart glass specialist. Will they ride the wave of the Blade or do they have more in store? CES has long earned the distinction for being the world's largest consumer electronics and automotive tech show, MWC is by far the biggest annual event for phone makers and the wireless industry as a whole. As a result, we can look forward to a host of new flagship phones supporting dual cameras and improved time of flight (ToF) sensors for Augmented Reality and depth-altering applications such as the OPPO Find X2 with 10x hybrid optical zoom. Will this be enough for new handsets or just another gimmick? Google and Apple are setting the standards for AR with ARCore and ARKit - are improved cameras that don't support these SDKs going to make a huge difference at this stage of the game? AR Optics Startup LetinAR, which raised over $3.6m in Series A Funding, demonstrated at CES the potential of its PinMR™ technology to replace the existing optical systems used by smart glass manufacturers such as Google, Microsoft, and Magic Leap. At the moment this is a completely new approach to how we view AR in a HMD. This new tech has the potential to increase visibility of virtual content, but from what we saw at CES still suffered from a small Field of View. Could we see improvements by MWC? Or even more information about LetinAR’s tech that could change the playing field of how AR works? While there are not many details about this yet, LG has teased something called “Goodbye Touch” for MWC. It could be a hint for a new touchless, hand gesture-controlled phone but with gesture technology being more suited for Augmented Reality applications and experiences, we could see some competition to Intel and Leap Motion’s gesture efforts. We are very curious about this… why do we need gestures for a mobile phone? Could LG envision a new purpose for our ageing handsets?